Push mowers work very well for home owners with smaller areas of land, like precise cutting close to objects, and enjoy the exercise that comes with it! When it comes to keeping your push mower performing like new, it's important to keep up with its scheduled maintenance and any major/minor repairs that may appear. 1) The starter rope is hard to pull or seems stuck. 2) Your push mower won't start. 3) Power is lost in the middle of mowing. 4) You're getting an uneven cut. 5) Your push mower is smoking. 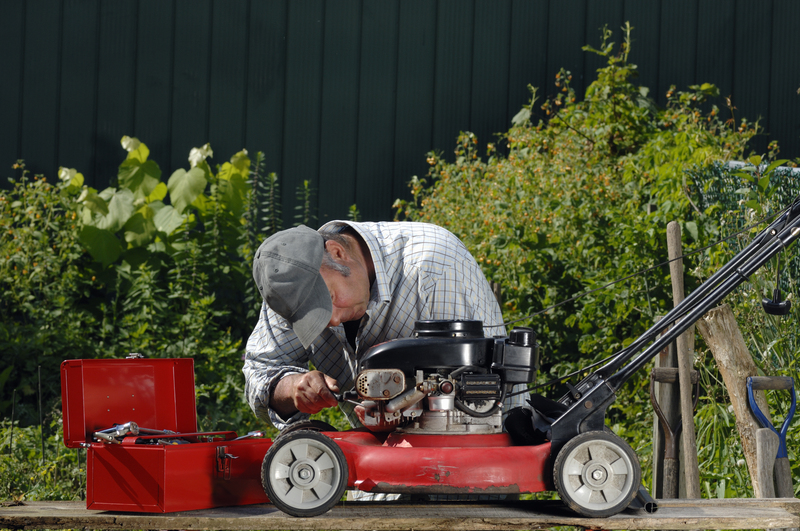 It can be difficult to diagnose exactly what's going on with your push mower. It can be even more difficult transporting your push mower to the nearest power equipment repair shop and having to wait for the repairs to be done. Skip the hassle and give Freestate Mower Repair a call today at (410) 867-2535! Use the schedule service button at the top of the page for convenient scheduling online! Offering a convenient alternative to your traditional repair shop, we come to you! Providing on site repairing means no transporting, and no delayed pick-up times! Not sure what the problem with your push mower is? We'll come inspect your push mower, diagnose the issue, and provide you with a quote for the repair! Please feel free to contact us or stop in today for all your broken mower solutions! Call us at (410) 867-2535 or contact us below.